The Listowel native also offered his views on a host of topics. IN SEPTEMBER 2011 Tadhg Kennelly brought the curtain down on his Australian Rules career with the Sydney Swans. An AFL Premiership medal winner in 2005, Kennelly’s links to the game have not been completely severed though. He has since taken up a role with the AFL that sees him primed with the responsibility for international player development and recruiting fresh young talent for the game. 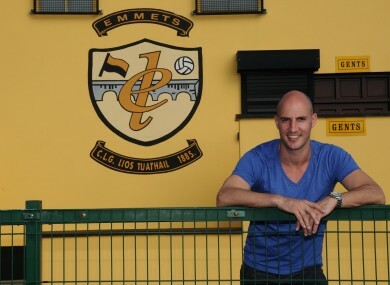 TheScore.ie caught up with Kennelly and got his views on a wide range of subjects. “I got the opportunity this year to travel the world and try to recruit players for the AFL from China, New Zealand, Papua New Guinea, Ireland, Europe and America. It’s been fantastic. “There’s two new clubs in the AFL and there’s a shortage of AFL footballers in the competition. AFL clubs said they needed more talent. So it was decided that the best way to do that was to go around the world and try to find it. “We’ve seen this year in the Grand Final, a player from my own club the Swans, Mike Pyke involved. Five years ago he played for Canada against New Zealand in the Rugby World Cup, scoring a great try. The more success stories we have like that, the more attractive we’re going to become around the world. “The two guys settled in very well down at the combine in Melbourne two weeks ago. A combine is basically a draft where we have physical and mental testing. The clubs look at the players in the combine and it’s my job then to sell the player to the clubs. I’m not affiliated with any club, I’m affiliated with the AFL. You have 18 clubs looking at the players. We’d 10 or 15 recruiters from each club and they’re going through everything. They probing to check everything both mentally and physically. “It was great to see them do it. Obviously it was quite emotional as I’d know a lot of the guys inside out. I was just so delighted for them. I felt like a father really looking down at his kids as I’d be close to so many of them. “It’s something that’s taken an awful lot of courage and thinking outside the box. Being able to change a game style like that and to stick strong with it despite all the criticism was great. “There’s a lot of doom and gloom around Kerry at the moment but they could easily have won the All-Ireland last year. I think it’s great that the way it is in Kerry when you don’t reach the pinnacle of your sport every season, you’re not happy. You want to be winners at all times. It’s a great way for kids to see growing up but that can sometimes be a very stressful and tough environment for players and managers alike. “I think it’s going to evolve again. It’s not just about skill in the game. Everybody will be thinking now after Donegal’s achievement that you don’t have to be a big team like Kerry to win an All-Ireland every year or the most skilful team in the country. Email “Tadhg Kennelly: 'I got the opportunity this year to travel the world and recruit AFL players'”. Feedback on “Tadhg Kennelly: 'I got the opportunity this year to travel the world and recruit AFL players'”.